Sustained Dialogue is a dialogue-to-action model that enables participants to build relationships for addressing controversial issues and making positive change. The model is used in national, community, corporate and campus settings. By offering students experience with the Sustained Dialogue model, The University of Alabama improves our campus community and enhances the lives of our students during and after college. 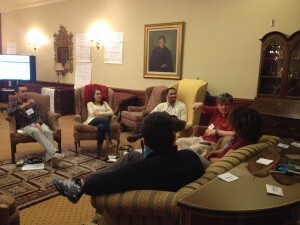 Sustained Dialogue helps students make time to understand perspectives of individuals they would not otherwise meet; interact comfortably with all kinds of people; build relationships across lines of difference; and gain communication skills necessary for increasingly diverse academic, social and work environments. Students may enroll in UH 120 or NEW 120, a 1.0 hour credit Pass/Fail course. 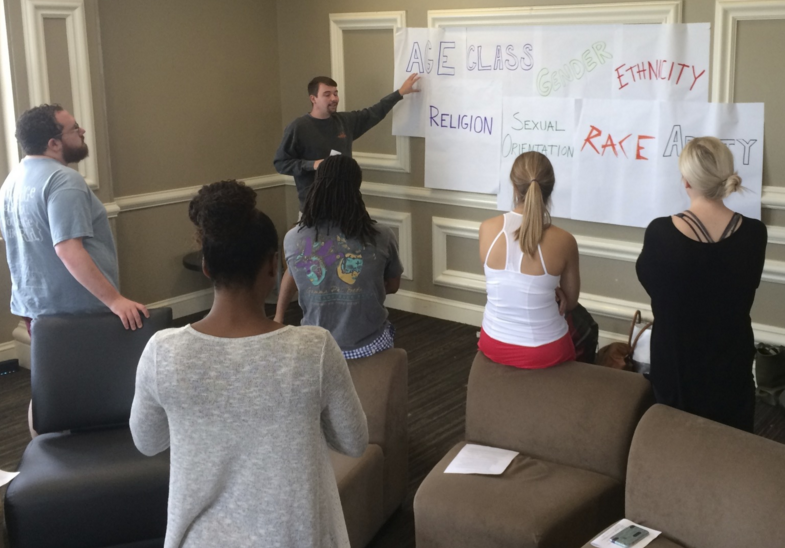 The course places students in dialogue groups of 8–10 diverse members who meet once a week with two student peer moderators who help facilitate the conversation about issues of social identity, focusing specifically on race and gender. To serve as a moderator for the course, you need to email Lane McLelland for approval to enroll. Students can enroll in the course for Honors or New College credit depending their college association. It is offered as a three hour class and meets on Tuesdays for skill development and on Thursdays in dialogue groups. 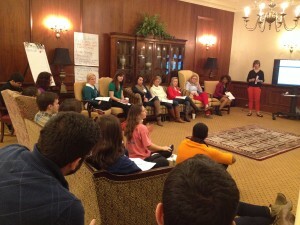 The course takes you through the Sustained Dialogue experience: starting off by reviewing the Sustained Dialogue model, and then breaking up the whole class into smaller dialogue groups for much of the rest of the semester, occasionally joining the larger group for inclusive leadership skill-building. Groups are lead by peer moderators, and students guide where the conversation goes as they get to know one another, share their perspectives on diverse topics, come to a greater understanding of how these issues affect our lives and share ideas for what we can do to change our world. Students of any major or course of study are welcome to sign up for the course, and we encourage students with unique perspectives to come join in the conversation. 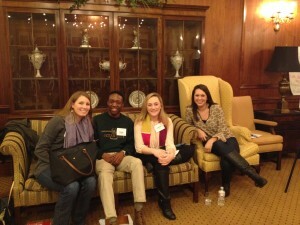 University of Alabama students participating in the 2014 Sustained Dialogue Inclusive Leadership Conference.